Consensus Base was founded as a block chain specialized company. Block chain technology gathers worldwide attention. It is expected that the market will grow in this field where global financial institutions and IT companies enter the market and major VCs are actively investing. Under this situation, in Japan, we provide appropriate advice, consulting and development as a company with expert knowledge and skills. We are one of the few companies that did business with a number of companies, mainly SoftBank Corp., including major listed companies, and with many experience and achievements in actual business problems and application methods through developments and demonstration experiments. Even those who do not know what the block chain is in the first place are our clients. We are proposing business. Please do not hesitate to consult us. Organization change to corporation. Became Consensus Base Inc.
Capital increased to 10 million yen. We are engaged in the following businesses related to block chains and distributed ledgers. NTT DATA INSTITUTE OF MANAGEMENT CONSULTING, Inc.
IBC: Internetworking & Broadband Consulting Co.,Ltd. Appearance to the media · Posting history · Writing etc. You can see the media, contributions and writing history our CEO Hiroshi Shimo has engaged. This is the 2nd e-book co-authored with Financial Digital Innovation Technology Development Office, Financial System Development Division, NEC Corporation. 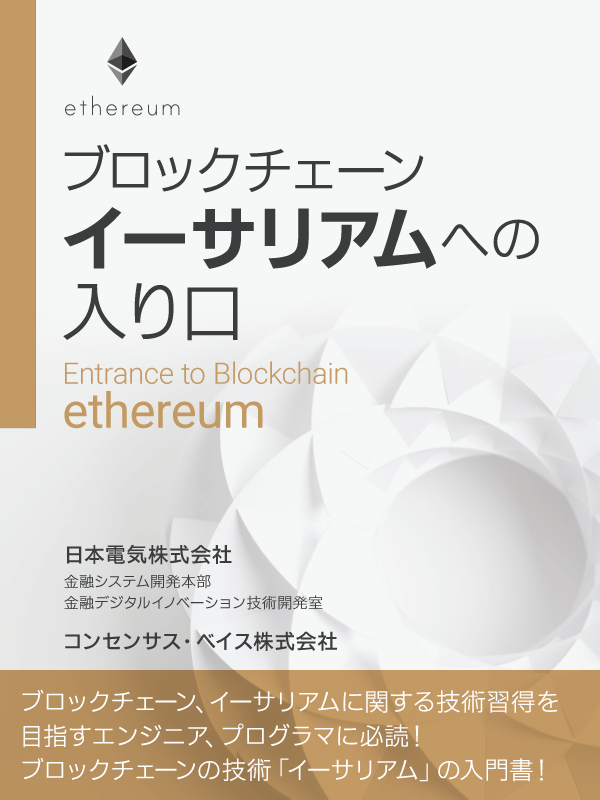 Author: NEC Corporation Financial System Development Division Financial Digital Innovation Technology Development Office, Consensus Base Inc.
CEO Hiroshi Shimo wrote the article about Ethereum for “FinTech World Yearbook 2017-2018” (issued by Nikkei BP Inc. every year in March). This is an e-book co-authored with Financial Digital Innovation Technology Development Office, Financial System Development Division, NEC Corporation. It introduced us as a Fintech venture and featured our demonstration experiment of block chain technology for Myanmar market with Daiwa Securities Co., Ltd.
CEO Hiroshi Shimo was appreciated in the acknowledgments of the book “Full-fledged Introduction to Smart Contract” which we cooperated with technical advice. 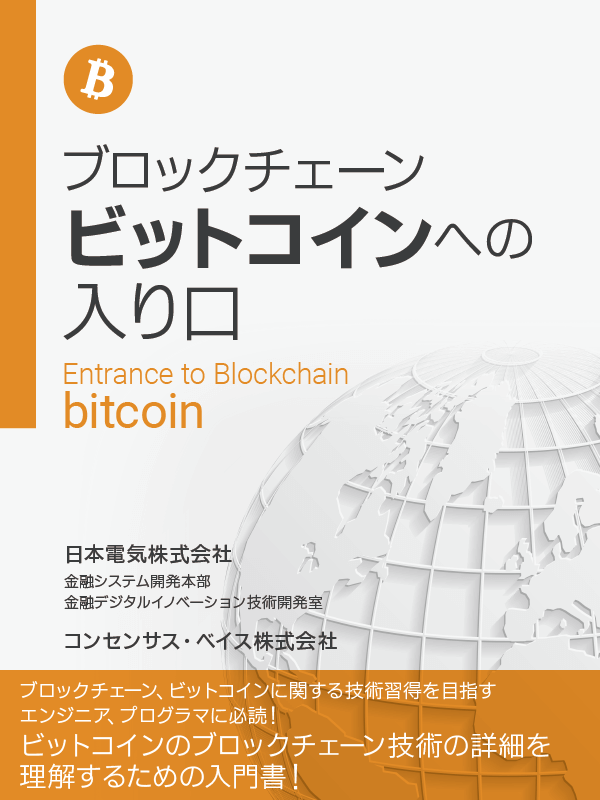 CEO Hiroshi Shimo contributed a commentary about “Consensus Algorithm to a mook “The Complete Guide to Block Chain & Bitcoin”. July 7, 2016 CEO Hiroshi Shimo was featured on the Nikkei Computer (July 7, 2016 issue). CEO Hiroshi Shimo appeared in Nikkei CNBC’s program “The Finance Debate – Virtual Currency Front Line ~ Light and Shadow of System Evolution ~”.